Our office has served the Palm Beach County area for twenty two years and has always been committed to bringing you the highest level of eyecare that is available. Our mission is to provide you with comprehensive eyecare and products that meet or exceed your expectations. 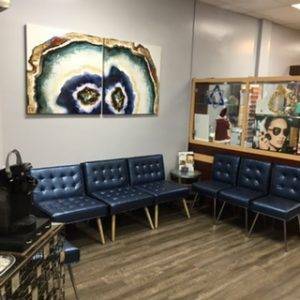 We have a state-of-the-art facility with a unique optical boutique offering personalized service in a professional environment. Dr. Kaufman is the real deal! Hard to Fit Contact Lenses? Challenges such as astigmatism, presbyopia, keratoconus and dry eyes does not mean you cannot wear contact lenses. But they do require more time and patience. 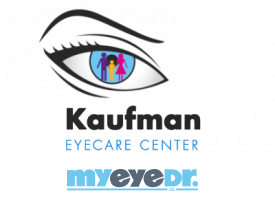 Dr. Kaufman is a legal provider of Medicare glasses for post cataract surgery. 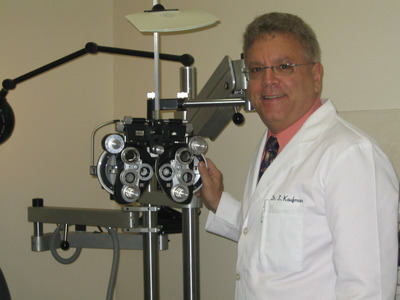 Dr. Kaufman will save you time, money and hassle, and will help you get your glasses through medicare. The Optovue Retinal Exam produces an image that is as unique as you fingerprint and provides us with a wide view to look at the health of your retina.